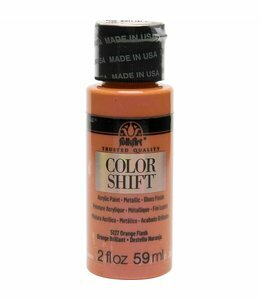 FolkArt Color Shift Acryl verf - Metallic - Gloss Finish Orange Flash 59 ml. FolkArt Color Shift Acryl verf - Metallic - Gloss Finish Red Flash 59 ml. 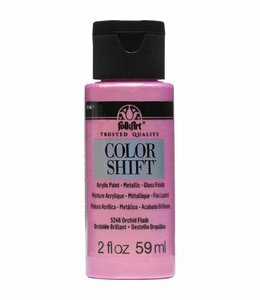 FolkArt Color Shift Acryl verf - Metallic - Gloss Finish Pink Flash 59 ml. FolkArt Color Shift Acryl verf - Metallic - Gloss Finish Orchid Flash 59 ml. 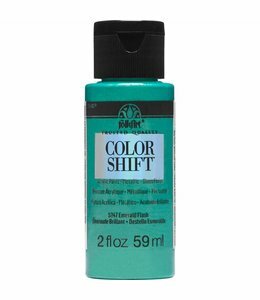 FolkArt Color Shift Acryl verf - Metallic - Gloss Finish Aqua Flash 59 ml. FolkArt Color Shift Acryl verf - Metallic - Gloss Finish Emerald Flash 59 ml.